The healing effects of broth are not limited to chicken. 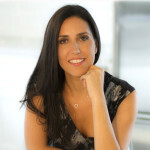 Bone broth from beef, lamb or even fish can have similar healing properties. I make a pot of chicken soup at least once a week during winter cold season months, a perfect dish on a cool winter night. 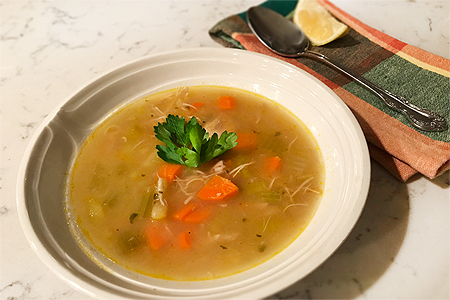 What makes this recipe supercharged is using chicken broth as liquid base in addition to boiling fresh chicken to make broth more concentrated and potent. Saute chopped onions in olive oil. Add garlic and thyme and saute to flavor oil. Add chicken and saute for about 3 minutes. Add chopped vegetables and saute for another 3 minutes. Add broth and water and let simmer for 60 minutes (minimum) preferably 2-3 hours. Skim off fat from top of broth. Remove chicken and debone before adding it back to the pot. Add dill and parsley at the end. P.S. 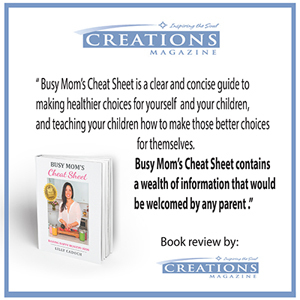 Give yourself or a loved one the gift of my award-winning book, “Busy Mom’s Cheat Sheet: Raising Happy Healthy Kids”. Learn the tools to lead and teach your kids to have a healthy happy life, including 45 easy, quick, healthy delicious recipes even the pickiest bellies at home will love! Available on Amazon today!